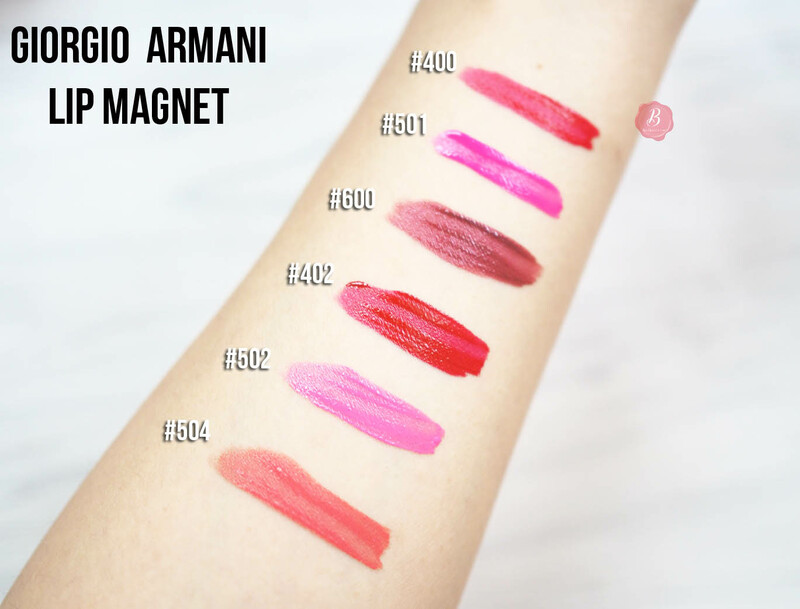 The Giorgio Armani Lip Magnets were possibly one of the most raved about new launches last month! I was curious to try them out for myself, as I heard promising things about them, such as it's comfortable and thin texture as well as intense and rich pigmentation. Plus, it's adorable packaging seems to be a bonus for clutch lovers. Here's what I think after a week of testing them out! My first impression of just swatching the products was "Wow, this is really thin!" 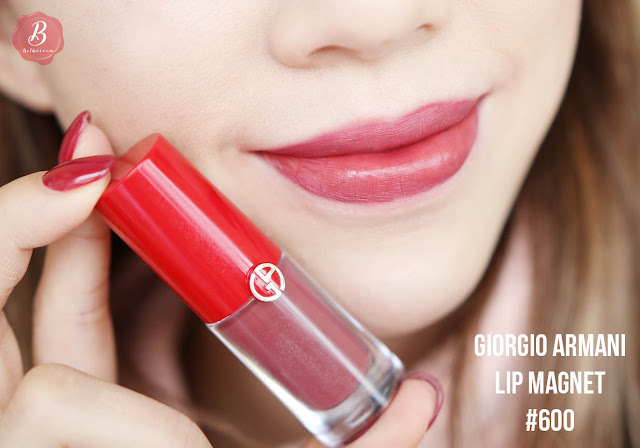 Especially for a liquid lipstick, I absolutely fell in love with the lightweight consistency, yet you still get an opaque coat (I wouldn't say rich nor intense). However possibly due to its thin and smooth texture, I find the colour slips around a lot, making it challenging to get an even application. It's not impossible, I think it takes a bit more time and patience to get it looking right, but as you can see in the swatches below I still failed to get an even coat of particular shades, especially on the top lip. 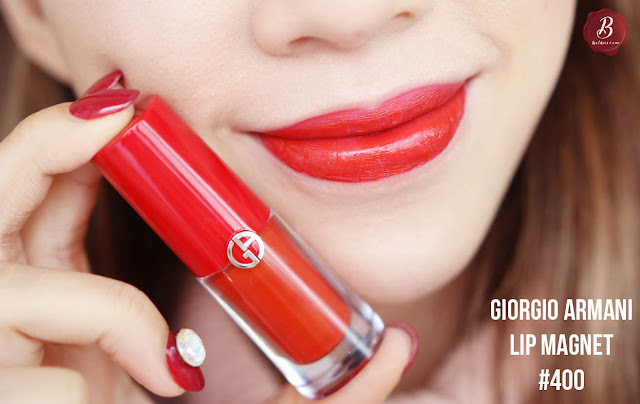 Other than that, the lipstick feels extremely comfortable on the lips upon first application, and the triangular applicator also helps to achieve more precision. Even with the bold red shades, I didn't need a lip pencil to apply accurately. 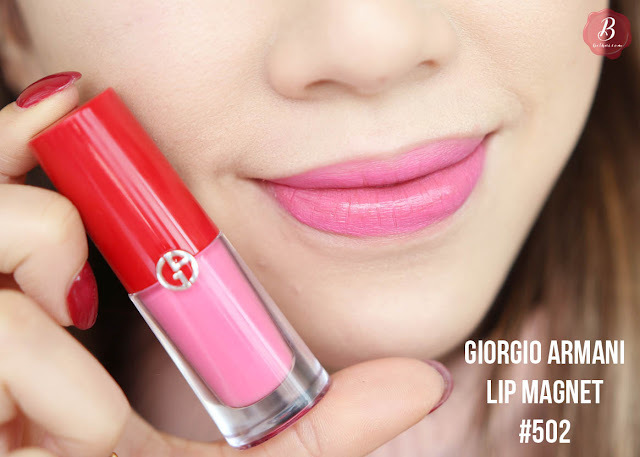 The liquid lipstick then dries into a semi-matte finish (rather than full matte), which I personally prefer since I have very dry lips. 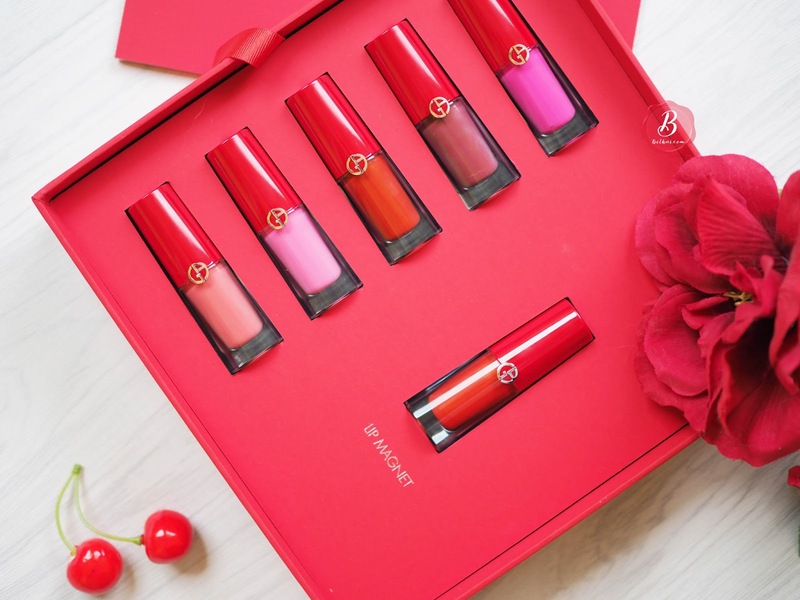 I don't find that it accentuates my lip lines like many other matte liquid lipsticks, and that would probably be the biggest reason for purchasing this. Having tested various shades for a week so, I've found that certain shades (#501, #400, #402) stain the lips making it a pain to remove (I've honestly tried every makeup removing product I have: balm; oil; micellar water) - lo and behold, you are left with a patchy stain until the next morning. I find my lips dry and tight after 3 hours of wear. One day I touched up lip balm only once during the day, and by the end of the night I also had flaky lips (but this could just be my dry lips and the dry weather). After eating and drinking, there's definitely some colour transfer. 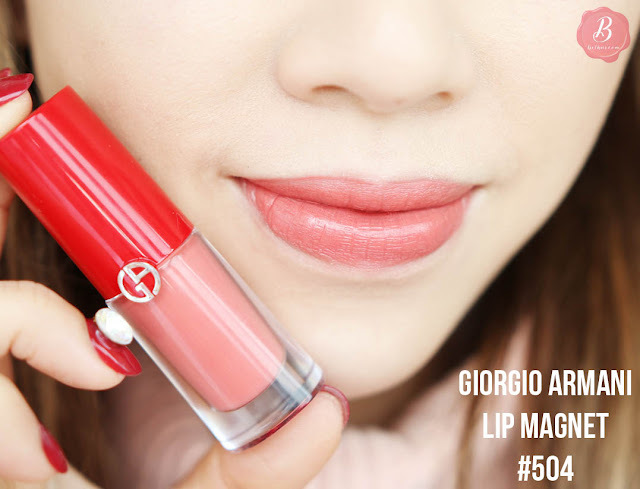 The lip color does end up quite patchy and less opaque so I would highly recommend taking it out with you for touch ups. It doesn't bleed, but transfers on my hands and in turn I tend to smudge it all over my bottom chin (being as low maintenance as I am). 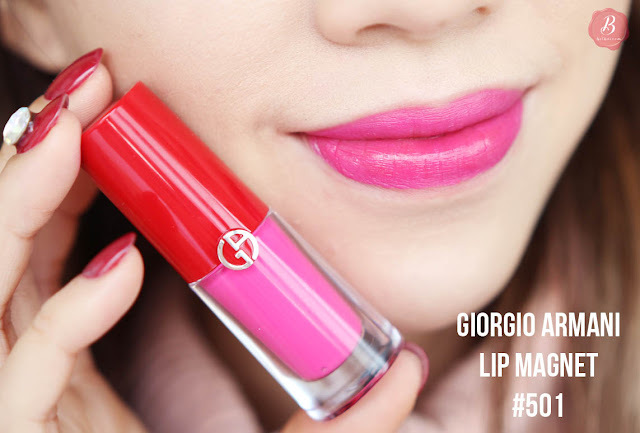 I wouldn't go as far to say that it's the most long-lasting or hydrating lip product, however I do think it's texture, comfort and finish makes it a product worth trying out. Here is a quick swatch video so you can see how they apply on the lips! If you have the Lip Magnet, let me know what you think! If you don't, would you consider purchasing it and if so, which shade(s)? 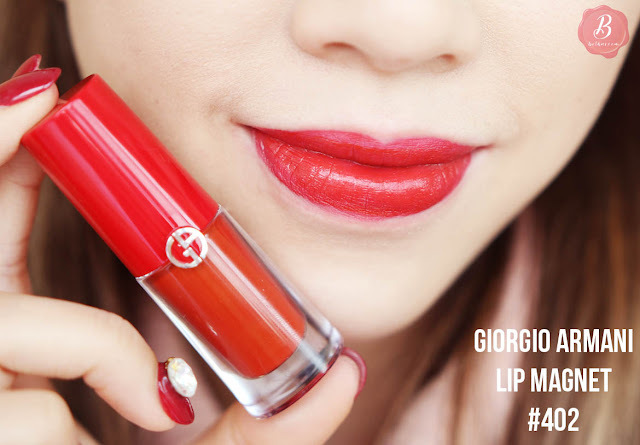 Products were sent for consideration to review by Giorgio Armani Beauty. 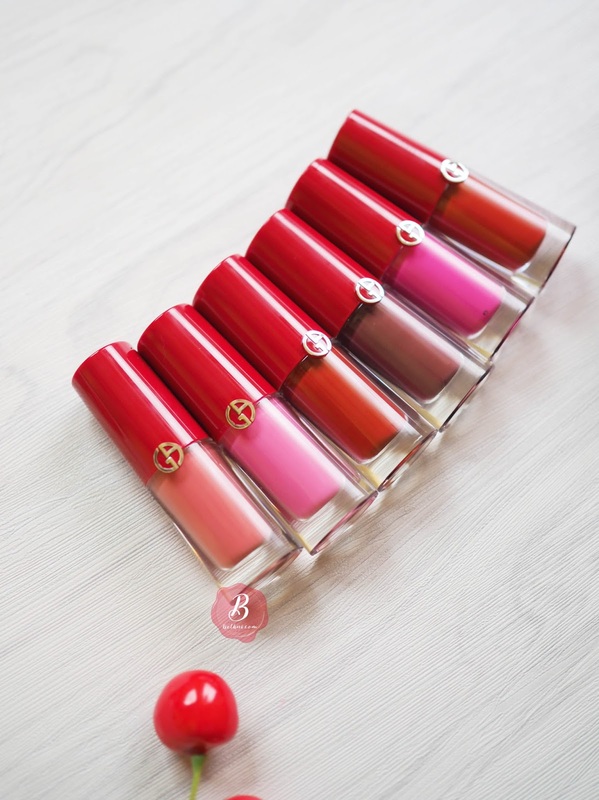 Those little lipsticks are just so cute. I love the #504 and #600, really wanna have them and try them out!